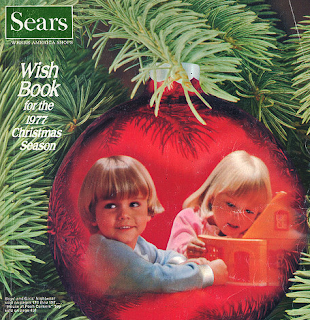 When I was a kid there was no bigger thrill than the one that came with the heralded arrival of the Sears Christmas Wishbook in early November. 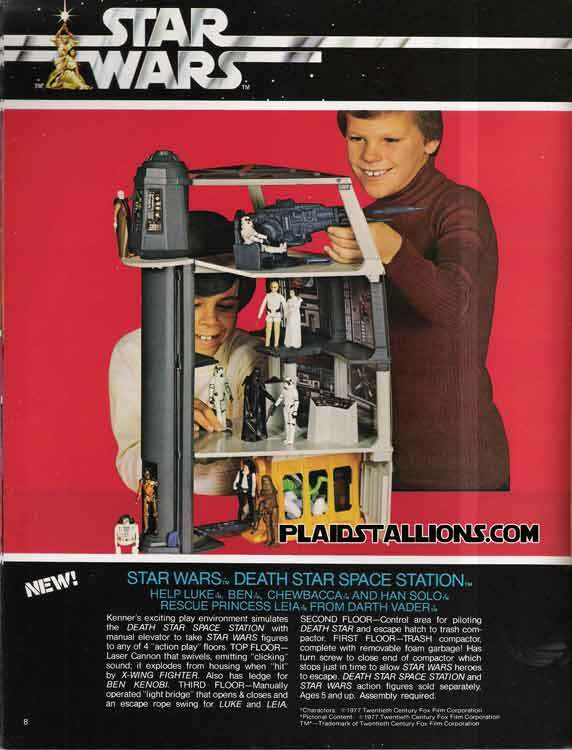 I’d spend hours circling the ads looking at all the toys and cool Christmas stuff. 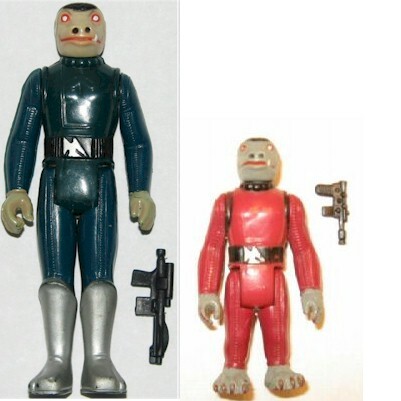 It always amazed how every toy looked like the coolest toy ever made. The Big Guy would always remind me how this was due to photography tricks and it was no accident that every toy looked amazing. According to the Big Guy the Wishbook was a scam designed to entice little kids to want more. 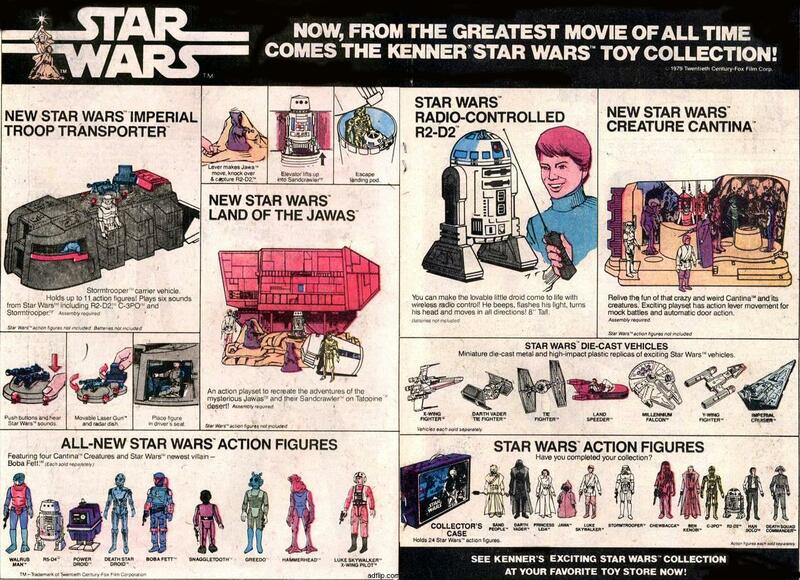 Christmas ‘78 arrived and the Star Wars collection was all time frenzy. Did I want the remote controlled Sandcrawler? How about asking for the plush Chewbacca doll? I considered the new TIE Fighter to go alongside my landspeeder and X-Wing for a bit. It was too many choices for my young mind to make. This was my first Sophie’s choice if you will. I was home faking being sick to get out of a math test when Mom delivered the latest edition of the Wishbook. Needless to say, the Star Wars collection was intense. Four new figures were added to the previous twelve. They were the aliens from the cantina scene: Hammerhead, Greedo, Walrus Man and Snaggletooth were awaiting my toy chest in my future. The best part was Sears offered an exclusive only available if you purchased the new guys from them. It was a Cantina Play set to host all the adventures my Star Wars gang would be having. As a budding StarWars-ologist, how could I be denied? GEEK SIDE NOTE: It’s important to also mention that the Sears Snaggletooth was destined to become a bit of a collectible because the Sears product was full size and wearing a blue jump suit while the off-the-rack Snaggletooth was half size as seen in the movies and wearing his red jumpsuit. The Big Guy took one look and crushed all my hopes and dreams by pointing out how the exclusive Cantina Play Set was merely a “laminated piece of cardboard” and I could make one that would have been better. I can remember looking into the very serious blue eyes of the Big Guy and thinking how sad it was for him that he had lost the ability to see the world through the eyes of a ten year old. Silly Man. Did he not understand that between the magic of my imagination and the hard working people at Kenner how we could create many new and exciting adventures for my action figures? My father kept reminding to be aware of camera/advertising tricks. I kept pointing how sad it was sad it was to have a heart like the Grinch. An impasse was created that neither side would relent. Christmas morning came and went. I did not get my Cantina Play set but I was surprised to receive the Death Star Play set. The funny thing was that I never asked for it because of the whopping price tag of 25 bucks. We quickly fell in love and it was Cantina Play set who? I loved playing with the trap door which led to the trash compactor. Sadly, the trash compactor would not close all the way which really screwed my some great scenarios I had planned for C-3PO. I came across the Cantina Set a few years ago in a comic shop and got my first chance to take a long look at its construction. To my great chagrin, the Big Guy was right as usual. Cardboard. I could have made a much better one myself. Dammit. I did a little research and discovered that Sear scaled back on its Wishbook premise back in 1993 and created a smaller version. Finally in 2005, with the rise of the internet, Sears called it quits for the mail order division. I also discovered that the issues came out in September which makes me wonder if Mom and the Big Guy were hoarding it to keep my Christmas wishes at bay. It makes me a little sad to know that Veronica and Jude will never know the thrill and excitement in how a 300 page book can create shopping hysteria. Kim and I were laughing about how we drove our parents nuts with all the “I want this and that.” I did discover it’s not completely gone just revised. I noticed the kids were not interrupting us like always do when I saw them sharing Kim’s laptop. They were on Amazon making their Christmas Wish List. I guess Santa’s Wish List has gone paperless.